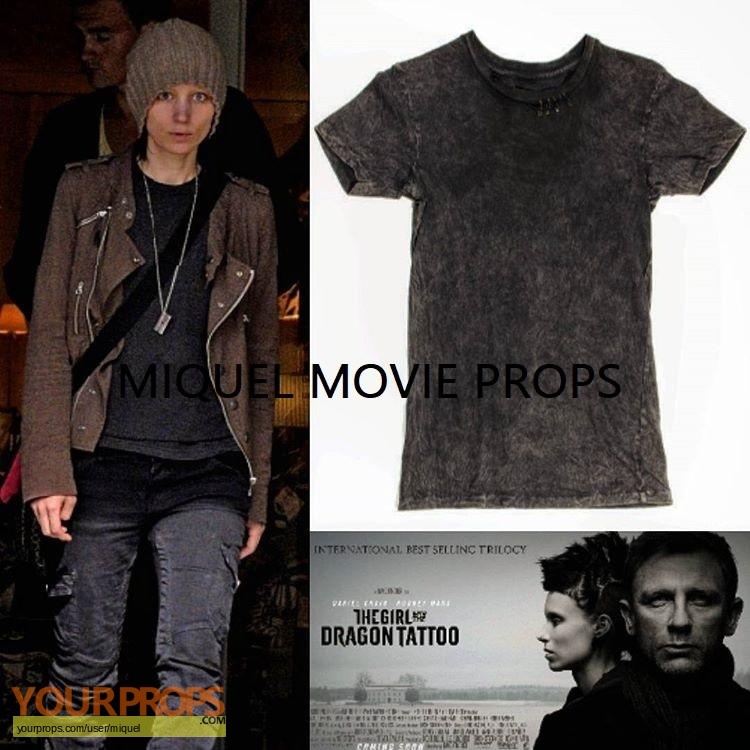 Hero distressed acid-wash black cotton t-shirt with safety pins on neck collar worn by Lisbeth Salander, as portrayed by Rooney Mara, in The Girl with the Dragon Tattoo (Columbia Pictures, 2011). Accompanied by costumer's tag indicating this costume was used by Rooney Mara in ------------ (int. Bjurman's office). In fine screen-used condition. Comes directly from the production studio and includes a certificate of authenticity from Blacksparrow Auctions. 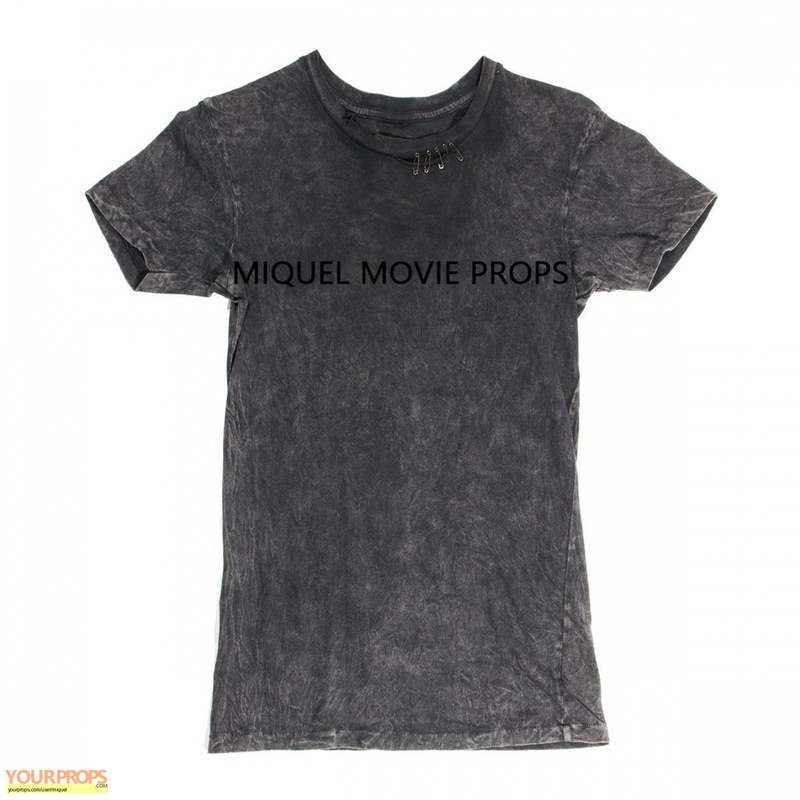 view all 168 items of "miquel"
** The content of this listing is the sole responsibility of miquel. Yourprops.com, its owners, agents and assigns assume no liability.